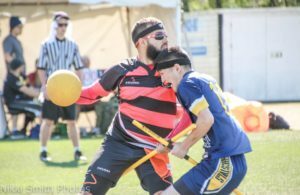 With a disappointing 5-11 record last year, it’s easy to see how a casual observer would be dubious of Terminus Quidditch’s chances to even make nationals this year, let alone break the top 10. But any steady rider of the Terminus hype train will know that there is more than meets the eye to this Atlanta-based squad. While the Terminus of yesteryear was as shallow as teams come–often only bringing eight-10 players to events–they still showed sparks of greatness. 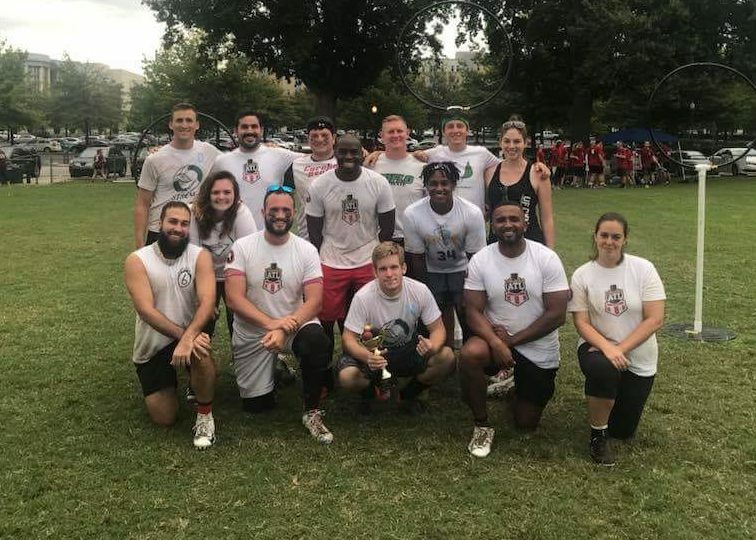 Under the leadership of USNT’s Quincy Hildreth–the best athlete in the South–Terminus played close, competitive games with some of the best teams in the region, until fatigue set in and deeper teams would put them out of range. In addition to, and likely because of, their shallow roster, Terminus lacked a dedicated seeker, leading them to go 1-5 in SWIM scenarios. However, both of those issues will be fixed this year. With the dissolution of Florida’s Finest, Terminus will pick up a bevy of some of the South’s best players from across Florida and South Carolina. With the addition of a deep beater corps, led by Sean Pagoada and Kayla Wilson, Hildreth will be able to drop the utility mantle and focus solely on chasing–a position in which he is unmatched by any player in the Southeast. Furthermore, the addition of Ryan Davis will help alleviate the team’s seeking woes, and Hildreth’s athleticism and experience beating last season will give them another weapon to add to their snitch-on-pitch game when the situation calls for it. It might seem dubious that any South team could rank this high when the region has been kept out of the top eight at nationals since 2011. However, in a year with massive declines in club team competition, Terminus is properly poised to make the breakout that the region has anticipated for so long. 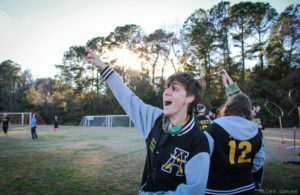 Once the little engine that potentially could, Terminus Quidditch Atlanta has turned into a second South rendition of a super regional club team that won’t. 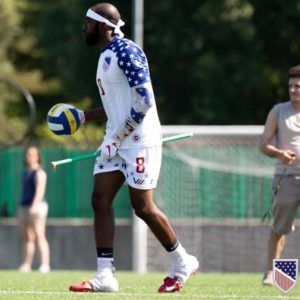 USNT’s Quincy Hildreth and his Finest Flamingos of season’s past will not be chugging into the station and will not meet expectations at No. 9 on The Eighth Man preseason rankings. Throughout the years, Florida’s Finest has dominated the South and faced very little competition save for the University of Miami and last year’s rendition of Gainesville Siege. With the college-club split, both Miami and Finest lost a lot of their direct competition and dominated their divisions, respectively—and all was right in the world. 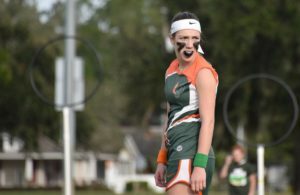 However last year, with his move to Atlanta, Hildreth banded together some former collegiate players in the area and some new faces to create Terminus Quidditch Atlanta. While the team struggled against more-seasoned teams like Finest, Siege and Southern Storm, they had a grit and toughness about them that was exciting for onlookers—especially since Terminus resided in a state void of the sport. With all the excitement surrounding Terminus’s infancy and the decline of Finest on the national scale, Hildreth reached out to offer a new beginning to those Finest players that were still looking to play. Many of them jumped at the chance and thus, Terminus adopted the Finest model of recruit from afar, discuss strategy on Facebook and meet at tournaments when it counts. Arguably the most notable implant from Finest is utility player Ryan Davis. A talented seeker and scoring threat, Davis is still a young player with a high ceiling. However, realization of that potential will be difficult with a lack of practice and knowledgeable coaches. Also making the move from pink to red is Logan Hartman, Sean Pagoada, Tyrell Byrd, Joe Goldberg, Jody Louis, Kayla Wilson and Michael Gallaty. While some would view this as a major injection of chemistry, this was not the case when the Flamingos played together at nationals. The squad often looked disjointed, with only flashes of real chemistry between the occasional beating pair and snitch-on-pitch communication between Davis and beater Goldberg. Terminus also pulled from other teams, adding former Southern Storm point defender Lee Hodge to their roster. But the last addition worth mentioning is one of the few players actually localized to Georgia: former University of Missouri keeper Jacob Parker. Parker adds another hard hitter that will adhere to the athletic, physical play of previous renditions of the southern superteam. However, Parker is easily rattled when the game plan begins to fall apart, so it remains to be seen if he’ll be able to keep his cool in a system where chemistry is rare. In a region like the South, Terminus would have easily qualified. However, with the lack of southern club teams, Terminus has transferred their regional ticket to the Mid-Atlantic and the opportunity to show-up and win will not be as easy. A poor showing thus far by DCQC and Philadelphia Freedom–who both fell in-range to the Warriors’ piecemeal secondary squad, The Rogues–Terminus should be able to secure one of the three bids before falling to The Warriors, coached by Hildreth’s USNT coach and coordinator. However, we’re seen a relatively-talented Finest squad hiccup and come up short before, so nothing is certain for Terminus in the Mid-Atlantic. For this team, all we should expect from them is a fight to get to USQ Cup 12. An Elite Eight run–or even qualifying at the top half of the Sweet 16–just doesn’t seem to be in the cards for Terminus this season. Sorry, Josh Mansfield, but your train is on the wrong track.